The maestro of practical jokes, Ryan has played so many tricks that in the end the Head Teacher just walks out. And then the new Head Teacher, Mr Carter, arrives. A man so strict even the teachers are scared of him. So imagine his surprise – and Ryan's – when they swap bodies. Now Ryan is Head Teacher – and his mortal enemy is one of his pupils. It's every naughty kid's dream! David Baddiel is an author and comedian. He has written and performed in a series of highly successful TV comedy shows, including The Mary Whitehouse Experience and Baddiel and Skinner Unplanned. 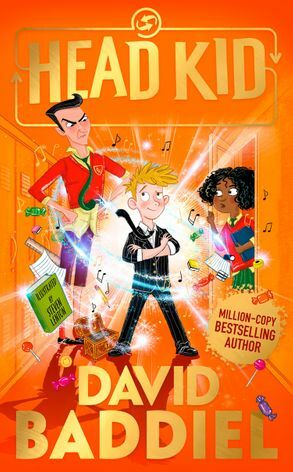 His debut children’s novel, The Parent Agency, was the bestselling 9-12 debut of 2014 and was hailed by the Guardian as ‘funny, sometimes moving and always engaging.’ David is a brilliant and original new voice in children’s fiction. He lives in London.